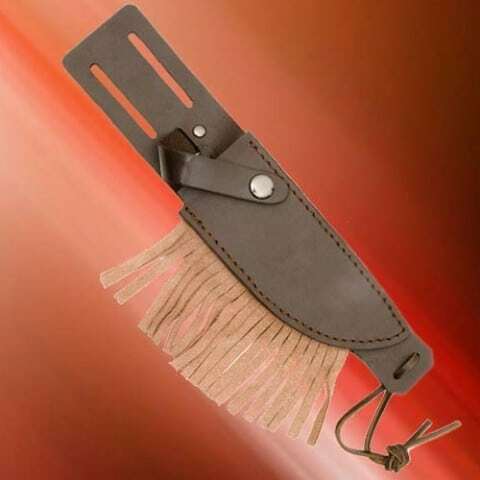 Rugged knife with an Old West flair. Handy for any outdoor task. Big knife with 13cm x 4cm hammer forged blade. 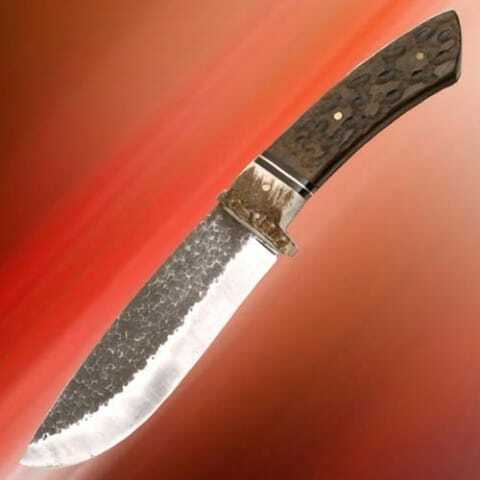 Full profile tang with real horn bolsters that form the guard. Atractive dark hardwood scales jigged for a shure grip. Overall length 27cm. Weight 0.3kg. Has a good thick leather scabbard.